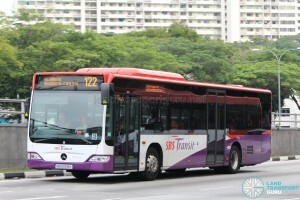 SBS Transit Bus Service 122 is a residential trunk route running between Kampong Bahru Bus Terminal and Commonwealth Drive, passing through Tiong Bahru, Alexandra Road, Kay Siang Road, Margaret Drive and Commonwealth MRT Station. 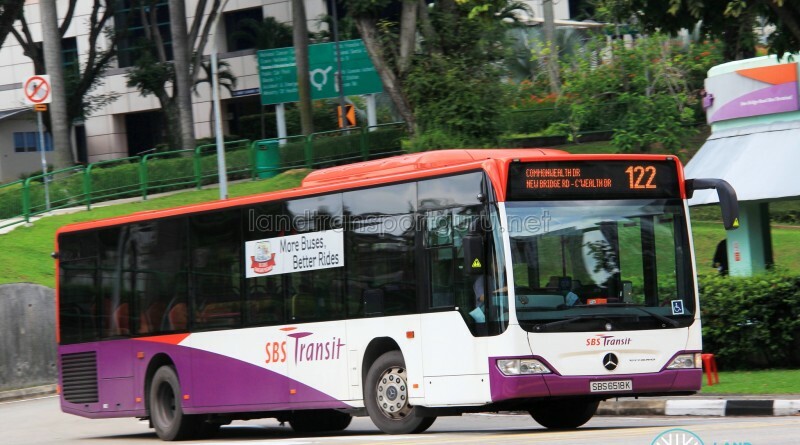 It was introduced on 15 Mar 2015 as the 38th bus service under the Bus Service Enhancement Programme (BSEP). 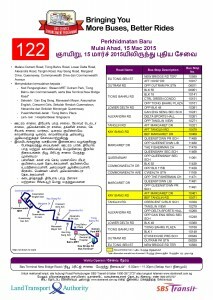 Service 122 provides residents of Tiong Bahru, Alexandra, and Commonwealth Drive with greater connectivity to Outram Park, Tiong Bahru and Commonwealth MRT Stations, along with other amenities in the vicinity. 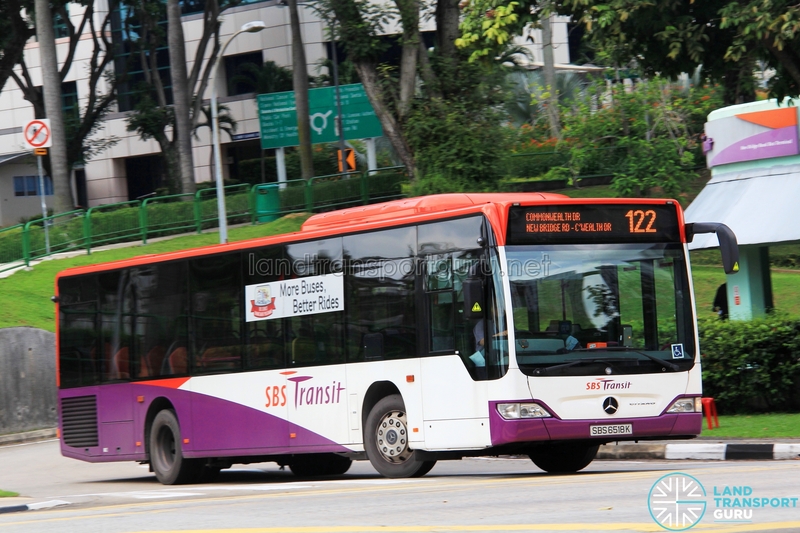 It is the thirty-eighth (38th) bus service to be introduced under the Bus Service Enhancement Programme (BSEP), and the third new BSEP service originating from New Bridge Road after Service 121. The inter-town service improves on existing bus connections in certain areas, notably Commonwealth Drive (previously only served by Service 195), and Margaret Drive (previously only served by Service 32), linking residential estates and amenities with transport nodes and enhancing connectivity to these areas. Apart from benefiting new residential developments near Dawson Road, such as the new HDB Skyville@Dawson and SkyTerrace developments, the route will serve schools – Gan Eng Seng, Manasseh Meyer, Queenstown Primary, Queensway Secondary, Assumption English, Crescent Girls and Alexandra Primary – as well as amenities such as Tiong Bahru Plaza and Singapore General Hospital. 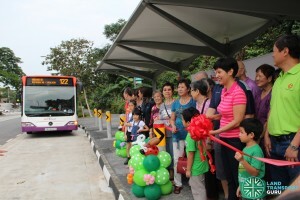 The service also calls at a new pair of bus stops along Kay Siang Road, which had bus stop provisions constructed years ago but did not receive any bus services until now. In March 2018, Service 122 was amended to serve Kampong Bahru Bus Terminal following the closure of New Bridge Road Bus Terminal. 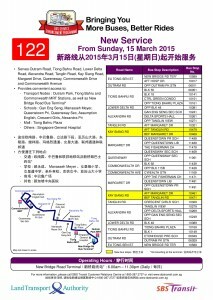 2015 (15 Mar): Introduced under the LTA’s Bus Service Enhancement Programme (BSEP), plying between New Bridge Road Terminal and Commonwealth Drive (Loop). 2018 (10 Mar): Amended to Kampong Bahru Ter. First bus departure timings from Kampong Bahru brought forward by 5 minutes. 2015: No significant route changes since 2018.